When the spring crowds begin to arrive there are many dynamics to consider in order to best prepare your team. Since we have properties in all regions of the US, preparations vary based on weather, school schedules and other factors. We have already begun speaking to our leaders in the field to prepare our teams for what will be happening one or two months from now. Advance Planning is critical when it comes to added stock of supplies, your staffing plan and seasonal uniform changes. Get an earlier start on inventory of supplies. Since many of these may need additional budget approval and have longer lead times, you don’t want to find yourself running out of items such as; cribs, rollaway beds, room linen and pool towels. If you haven’t begun pulling your extra pool and deck furniture out from storage for an inspection and deep cleaning, it is definitely that time. 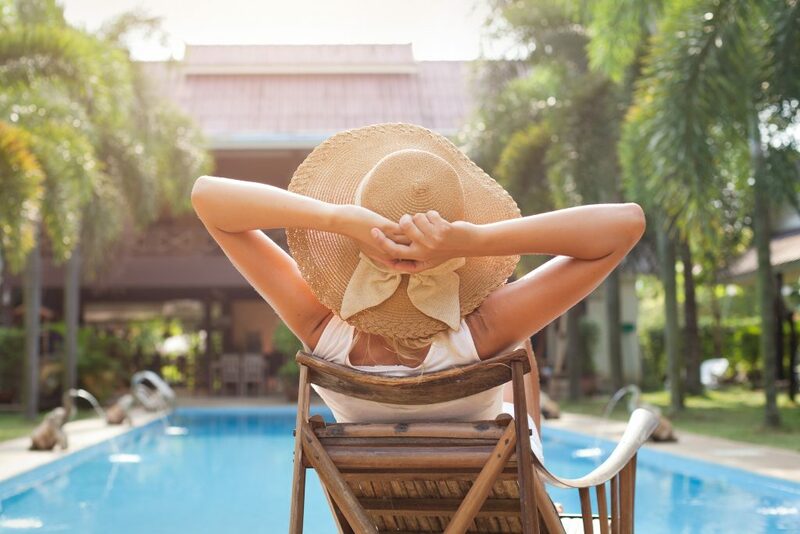 Even though resort properties may have a busy pool deck all year around, it is very common needing more to accommodate the spring break crowds. As the temperatures begin to change, it is time to determine the appropriate spring HVAC “comfort” settings with your facilities team. We want the first impression at check-in to be a comfortable and welcoming experience. In addition, determine the best placement for your window treatments. As we welcome more sunlight during the winter months, keeping draperies closed a bit more will assist in cooling down the room during spring and into summer. Review your uniform par levels for departments requiring a seasonal change. Ensure your associates are looking and feeling their best. Many of our associates have children taking school breaks as well, so we try to be as accommodating as possible to allow them necessary time with their families. Sometimes a slight shift on their schedule is a big help during this period. Just before the crowds arrive, everyone should be well informed on how they can best contribute to your operation. As we know, in order to be successful with the influx of transient business you must adjust your usual agenda and methods of cleaning. Be sure your daily pre-shift meetings include these important reminders and everyone is well-informed of the special activities and events happening at the property and surrounding areas. Keep daily events posted and copies readily available for your staff members. Prepare all the extras for multiple guests and families; items such as extra pillows, blankets, rollaways and cribs. Many of these requests come in during the afternoon and evening hours so be sure to have them “delivery ready” and staged in convenient locations. Be proactive by delivering extra items during regular services to accommodate multiple guests. In addition to stocking items for guest requests, there are a few to consider as part of the daily service such as; increased linen pars, soap and shampoo. Also, be sure to stock extra paper products in public area closets. Most importantly, don’t lose sight of your repeat customers that may be visiting during this period. For many, this kicks off the start of a long stretch throughout the spring and summer where families and more transient business visit your properties. It is important to continue discussing the unique needs of travelers during these periods. The Service Companies’ unique turn-key model provides complete oversight of the housekeeping, public area, EVS, and stewarding departments, including accountability over the productivity, operations and success of the departments. These services allow hotel, casino and resort customers to focus on driving revenues. To learn how The Service Companies’ turn-key model can help your property, contact us. Laurie Katinos is one of the leading hospitality operations directors. Her expertise in housekeeping operations spans over 20 years, with the majority of her time spent with Hyatt Hotels Corporation and The Service Companies. Her knowledge and operations savvy has contributed to The Service Companies becoming the unrivaled provider of cleaning, staffing and managed services in the hospitality industry. Sign up to receive notifications as we publish new posts. Subscribe to receive post notifications.